Practicing with a drone is an excellent way for musicians to improve intonation and ear training. 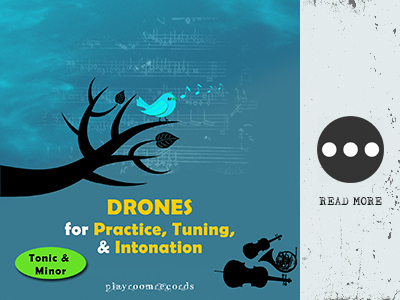 The Drones for Practice, Tuning, and Intonation album is a practice tool for musicians of all levels and an excellent resource for perfecting music scales, tuning, and intonation. Unlike many other drone recordings, this album features recordings of real acoustic orchestral Instruments including Strings, woodwinds and brass. These drone sounds are pleasant to the ear, allowing for extended practice times. Included are both major and minor interval drones.